Brewers is pleased to announce the opening of a brand new Decorator Centre in Worcester. Located on the Countrywide Trading Estate, the new store is in a great position so it has already attracted lots of attention from passers-by, and there has been plenty of good feedback about the range of stock. Jonathan Taylor, store manager, has recently joined Brewers after several years’ experience in the industry and is backed up by a team of five in the branch to offer the best service. The store has a large warehouse so it can carry enough stock to support all customers both trade and the public as well as a delivery van for supplying customers’ needs. 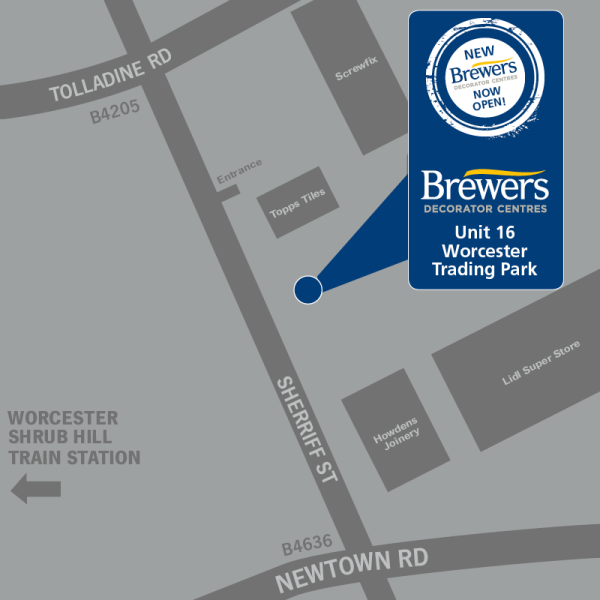 To find out more about the special opening offers at the new Worcester store, join the Brewers community on Facebook and Twitter.